Along with the increasingly cold weather and Halloween costume pressure comes a different kind of Netflix binge. In honor of the upcoming holiday, we've assembled a list of horror gems both old and new to keep you awake until November. Remember when Joey Tribiani from Friends stored his copy of The Shining in the freezer because it was so scary? That will be you. Based on the short story by Stephen King, this one follows a couple who discovers a strange town after their vacation is interrupted by a suspicious accident. As a young girl celebrates her birthday on Halloween night, she discovers she's a witch. Her first move is to accidentally revive an old relative, with intentions of stirring things up, and not in a good way. In fact, they intend to enslave the entire town. This reincarnation of Sabrina, The Teenage Witch follows the titular witch on her 16th birthday, where she is faced with a choice: a witch life, or a normal one? This Netflix original movie follows two siblings, Jackson and Angela, who run a fake ghostbusting service. However, reality starts to blur after the team comes across a mansion with a haunting past. Ed and Lorraine Warren are paranormal investigators who agree to take on a haunted house in Rhode Island. They discover that the house belonged to a witch named Bathsheba who sacrificed her week-old child to the devil and killed herself, but not before cursing the land and all who would ever come to own it. A classic. After moving into a new home, Coraline discovers a secret door leading to an alternate universe. In the bizarro world, everything seems perfect. However, something darker lies beneath, and the "Other Mother" might not be exactly what she appears to be. Based on the Neil Gaiman novel of the same name. To get over the trauma caused by the Ghostface Killer, Sidney Prescott writes a self-help book and returns to the town of Woodsboro for her book tour. Unfortunately, the Ghostface Killer has been waiting for another go around. A newlywed couple moves into a new home. All is well until they realize that their landlord has been spying on them since day one. Intentions are good when Jack Torrance moves his family into an old hotel in Colorado for the winter. When his son's psychic visions grow deeper and more intense, Jack discovers the hotel's dark secrets, at the cost of his sanity. Jack Nicholson stars in this Stephen King classic. A widowed mother finds her patience tested after her erratic son becomes obsessed with an imaginary monster, The Babadook. Shortly after, lines begin to blur, as Amelia finds herself experiencing the Babadook in action. 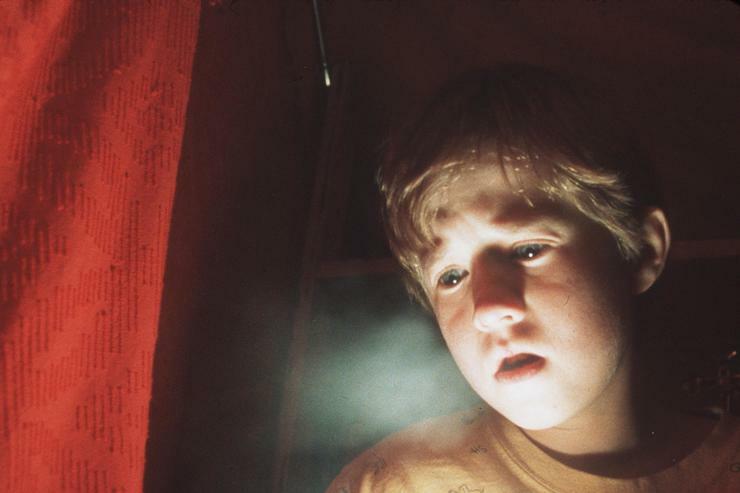 This classic M. Night Shamalyan flick follows a young boy haunted by his ability to communicate with the dead. Luckily, he has Bruce Willis to provide some much-needed guidance. Even if you know the iconic "twist," this one remains worth a watch. Four years after the Curse of Chucky, Nica Pierce is still being framed by the god-forsaken doll. She gets a visit in her mental institution from the legal guardian of her niece Alice, who informs her that Alice has died from a broken heart. Nica attempts to commit suicide that night, only to wake up in the morning with stitched wrists and a note from Chucky that reads "not so fast."